Kuwaiti authorities have compiled a list of companies suspected to be involved in money laundering operations, reports Annahar daily quoting a government source. According to the source, unless companies provide proof that their financial and in kind transactions are transparent they are reported to the Public Prosecution office. These measures follow the framework of controlling the market completely and the elimination of the real estate fraud which has affected many citizens recently, pointing at the same time to the new deterrent expected measures against any company or a violation of the rules and instructions and new controls set to eliminate real estate fraud in all its forms and methods. The source underlined that the concerned government authorities now know the tricks of the trade practiced by some parties during market transactions, which is followed by what resulted in the specific procedures to face those operations. The government has also stepped up its procedures in the pursuit of suspicious money movement through the cooperation of supervision characterized by integration and coordination between the Central Bank and the Financial Investigation Unit and the Ministry of Commerce and local and external parties to control money laundering. 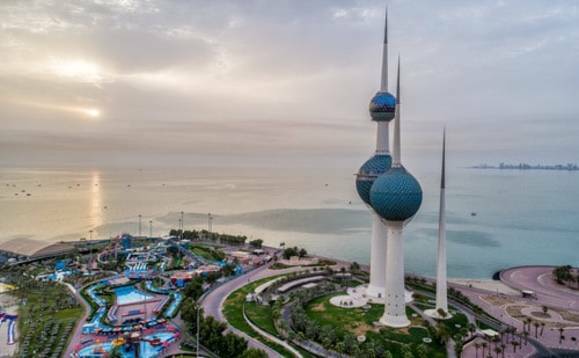 Kuwaiti authorities will refer a Syrian businessman and five others to the public prosecution over charges of money laundering, local media reported. Businessman Mazen al-Tarzi was arrested late Monday from his work place at Al-Hadaf magazine, Al-Qabas newspaper reported. The arrest came following investigations that "may include espionage cases especially with [Lebanese group] Hezbollah", the daily said. "Al-Tarzi denied the charges at first, but data found on his electronic devices and documents confiscated from his office disclosed his involvement," the newspaper said. He was also found to have contacts with "influential individuals close to the Syrian regime," according to Al-Qabas. The Kuwaiti authorities have yet to issue an official statement on the arrest.